Rabbit Advocacy Network members are all volunteers, and come from a wide variety of rabbit rescue and animal welfare and rights organizations. We all have one thing in common: to end the exploitation of rabbits, and, eventually, all animals. We are hoping to get rabbit lovers and animal lovers of every stripe involved in our campaign. You don’t have to be vegan or vegetarian to join us. You just have to love rabbits and other animals and want to see their suffering end. Get the word out about our campaign! Visit our Whole Foods pages to find out what’s going on and how you can help. 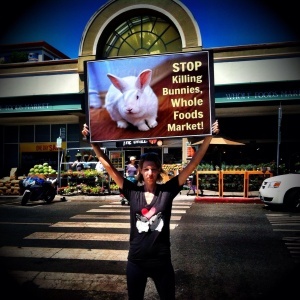 Sign the petition to get Whole Foods to stop selling rabbit meat. Educate yourself about what happens to rabbits in the meat and fur industries. In addition, find out about rabbit breeding and how harmful it is. Visit our Facebook page and see what’s happening. Do you want to get more involved? don’t have to pick up a sign and demonstrate in front of a Whole Foods (although that’s good too!). We would love to have writers, researchers, PR specialists, and more involved with the campaign! 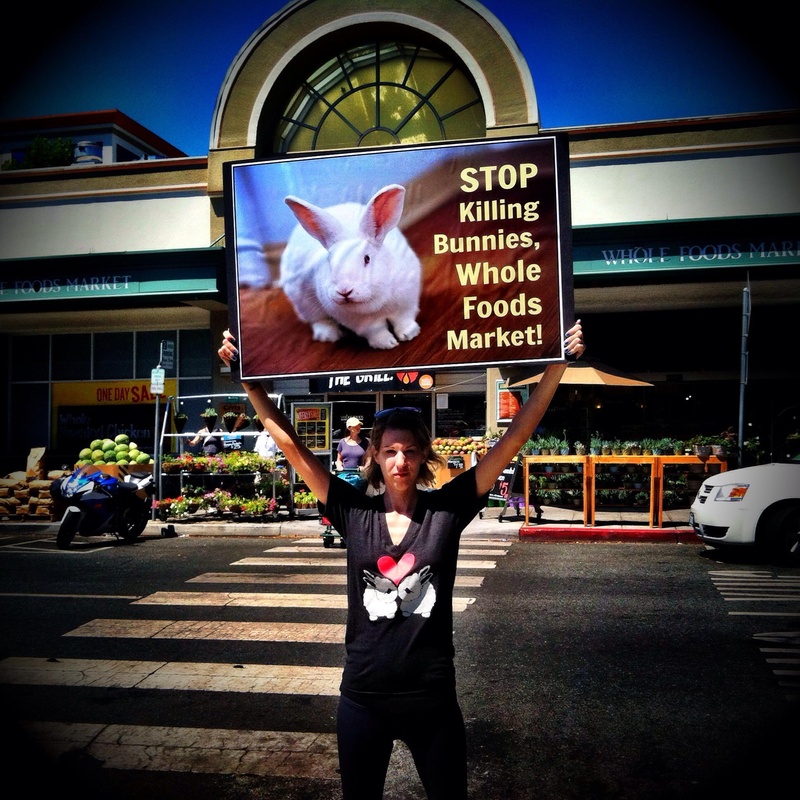 If you’d like to be more involved, please contact us at info@rabbitadvocacynetwork.org. Thank you!